I would like to welcome you on behalf of my team with the Bavarian greetings of "it's my honor", "hello" and "God bless" at Hotel ibis Munich Fair, renovated in 2017! We look forward to welcoming you. The ibis München Messe hotel is your starting point in Munich. 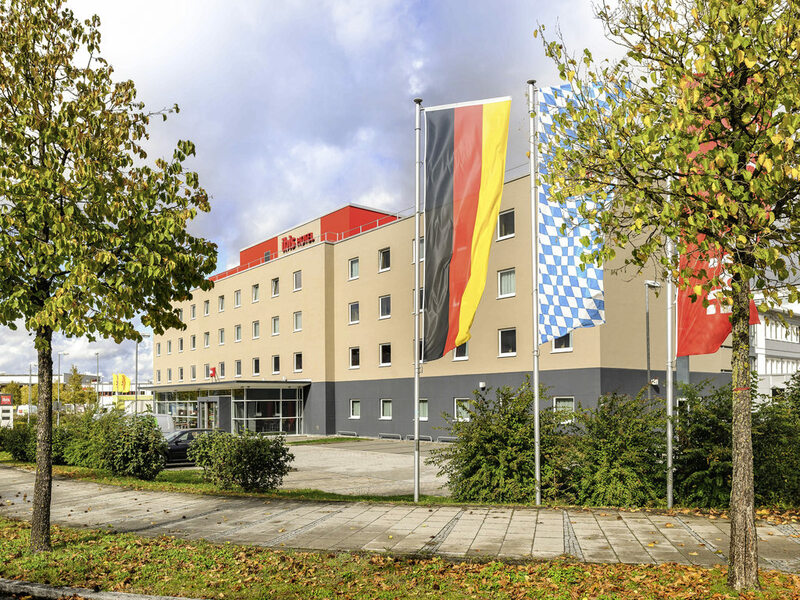 Thanks to its excellent location with close proximity to highway route 99 (route to the south), proximity to Munich (5 minutes away by car) and good transport connections, the ibis München Messe hotel is the perfect starting point for a plethora of activities, be they for business or pleasure. The location on the outskirts of Munich just a short distance from the countryside is also impressive - you can even enjoy a view of the Alps. Thanks to the hotel's excellent location, you can reach your destinations in and around Munich in hardly any time at all. To ensure a peaceful and restful night's sleep, all 100 rooms at the ibis Munich Messe hotel are soundproofed and equipped with extra-comfortable beds. Rooms feature free WIFI and TV with a wide range of Sky channels. Savor international delicacies and original Bavarian specialties daily from 6pm to 10.30pm at our ibis kitchen Restaurant. When the weather's nice you can dine in our very own beer garden. At our bar, you'll have plenty of time to relax - we are open for you around the clock. Our beer garden is also open when the weather is fine. Live sporting events are shown on Sky and you can order a snack or panini to eat while you watch.